Obamacare has not succeeded in lowering insurance costs for the majority of Americans. A fair and free-market for healthcare is non-existent in the United States, due to insurance companies and lobbyists buying off our FDA and politicians. Americans can still end up financially devastated and bankrupt due to major healthcare problems. 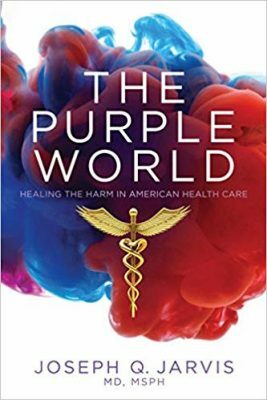 It’s due to these four major problems and the complete gridlock in Washington which lead Salt Lake City resident and long-time healthcare professional, Joe Jarvis, to write the book “The Purple World: Healing the Harm in American Healthcare”. 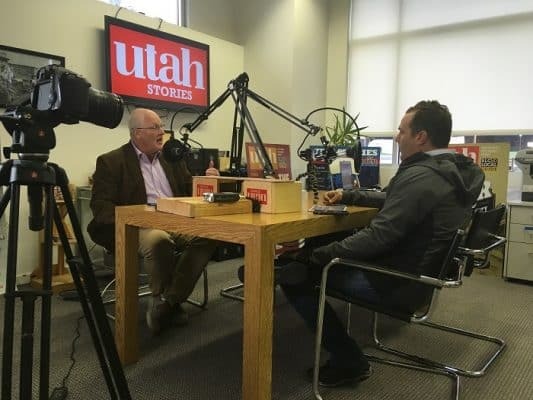 We invited Dr. Jarvis on our new Utah Stories podcast to discuss the issue. Jarvis offers some interesting ideas which are not partisan-based, but instead are common- sense based and “purple”. According to Jarvis (no relations to Jarvik–who invented the artificial heart)–a single-payer health care system would save our country trillions of dollars over the next thirty years. Our federal government could do this by extending Medicare to everyone. Medicare is a much more efficient system than private insurance, says Jarvis. On a state level, a single-payer program operated by an NGO (non-profit), would negotiate drug costs directly with healthcare providers and drug companies. Either model would cost much less than the estimated current 20% of our GDP on healthcare, said Jarvis. Jarvis and I debated the point over whether or not healthcare is or ever should be “market-driven” in the United States. I contest Jarvis’ solution for a few reasons. First, when we lived in the U.K. we found a very broken system. The UK government in 2012 was attempting to save 1 billion pounds by telling all doctors that they were not allowed to spend more than fifteen minutes with any one patient. And no patient could bring up more than one ailment at a time. The result of this policy was that anyone who could afford to see a “private doctor” would do so, and these special “private physicians” were not accepting patients who were seeking state-care. This was because the state-regulated medical care didn’t pay the best doctors enough, and this resulted in a two-tier system. My primary question for Jarvis is: How would a single-payer system in the United States not end up resulting in the same problems found in the UK and Canada? Jarvis’ response was that the UK medical care is far underfunded. It’s for this reason that the UK is faced with these problems. The UK needs to spend more on healthcare. Jarvis pointed out that surveys find that people in the UK are far happier with their healthcare than people in the United States. This was verified by a few stories I found from NPR and others. I also asked Jarvis how a single-payer system would cost less, when the services are offered free for everyone? Wouldn’t a few patients (possibly hypochondriacs) eat up far more resources, which might result in patients receiving limited care? Dr. Jarvis did not believe this would be an issue. He didn’t believe there were enough people who “want to get their legs poked with needles,” that would drive up costs. As a libertarian, I’m naturally opposed to asking the government to find a solution to this problem. I would prefer in finding ways to get the government out of the way. But the costs of procedures make it difficult for me to maintain this belief. Life saving procedures can cost in the hundreds of thousands of dollars to keep people alive, so why should only the rich be able to afford care and the poor become financially devastated when choosing to extend their lives? Dr. Jarvis might have swayed my opinion on the idea of a single-payer healthcare system working in the United States. I will need to do a bit more research on the costs. But if the financial statistics he cites are valid, and a single-payer healthcare system would in fact be cheaper, then it would be a huge equalizing force especially small business owners and entrepreneurs to not need to provide healthcare to their for themselves or their employees. If the overall cost to the American economy of placing everyone on Medicare was that the pharmaceutical companies in the U.S. might be less innovative, due to a decrease in profits, and insurance companies would lose a big segment of their businesses– these costs would be more than made up for with the ability of small businesses becoming more competitive in hiring talented people, which would make for a more fair marketplace. It’s currently a hugely difficult challenge for small businesses to attract talent due the prohibitive costs of providing healthcare to employees. We know this personally at Utah Stories. One point of which I certainly agree with Dr. Jarvis, is that something drastic must be done with our current broken healthcare system in the U.S. Lives should not be devastated when people decide to pay out-of-pocket for cancer treatment for loved ones. Further, insurance costs for families who choose to be self employed are far too expensive and continue to rise since Obamacare. Obamacare was sold to Americans based on false pretense. “If you like your doctor you can keep your doctor”; and insurance costs will go down while care would improve. All of these basic points proved to be untrue. I pointed out to Dr. Jarvis that if we are going to label healthcare as a right, why would we not also decide then that the availability of healthy, nutritional food should first be a right? Healthcare flows downstream from nutrition and overall health. Individual healthcare costs are completely dependent upon a person’s lifestyle choices. If the government is going to pay for our healthcare, there should be mechanisms in place to promote better health for all Americans. A major factor for our healthcare in the US costing twenty-percent of our GDP is because so many Americans eat far too much processed food, high-sugar/fat diets and consume far too much medicine to combat bad choices. Many Americans who spend years consuming medicine, need to take other medicine to combat the ill-side effects of their medication. Why not treat the root of the problem? 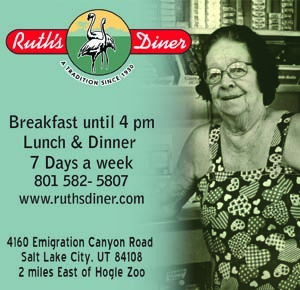 Forty-percent of all adult Americans are obese and 20% of adolescents, an all-time high. These basic facts lead to the need for spending massive amounts on diabetes, heart diseases and high blood pressure medications. I believe we could possibly enact a single-payer system if everyone who used the care had “skin in the game.” Meaning that out-of-pocket costs for most care procedures and doctor visits would still exist for the majority of Americans. Whereas if someone absolutely needed a major medical procedure it would mostly be covered. But there should be mechanisms in place to keep more americans healthier. If the government is going to be paying for healthcare, I like the idea of allowing citizens to opt-into receiving tax credits for staying healthy. If the government is providing tax subsidies for buying an electric cars, why not provide subsidies to those who walk or bike to work who both help the environment and improve their health? Why not offer tax incentives for those who maintain a healthy weight and lifestyle? I appreciate Dr. Jarvis coming on the program. 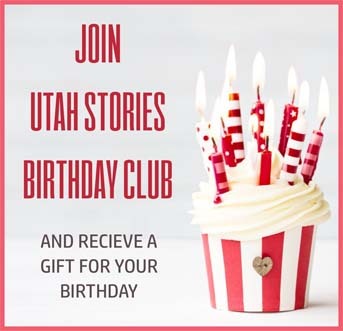 Our discussion is a great example of what I hope to accomplish with the Utah Stories Show: We want to facilitate civil and honest discourse with thought leaders and experts to help make Utah a better place.